I think I might have stumbled on the ultimate gun guy thing. It’s simple really. Find a friend who is willing to bankroll gun builds but doesn’t have the time to deal with it himself. Move on to the next project . . . Here are a few snaps from my first build which started life as a Savage 111 chambered in .30-06. 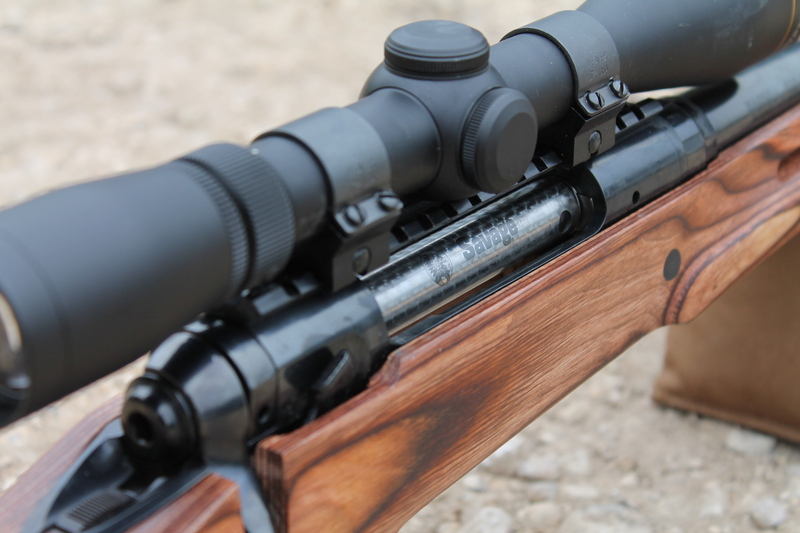 This particular rifle was from the package series Savage sells called the 11/111 Hunter XP. Out of the box, the gun is kind of “meh.” I found the scope mounts to be cheap and the bundled Bushnell scope was so-so. Normally, I’d advise someone to walk away from a “package” rifle but my buddy was able to pick this one up for a song. He actually got two rifles in the deal so the per gun cost was tiny. For the sake of this article, call his cost in the rifle $250. I had to replace the rings which meant getting a Weaver rail ($19.99) and Weaver Top Mount Rings ($27.49). 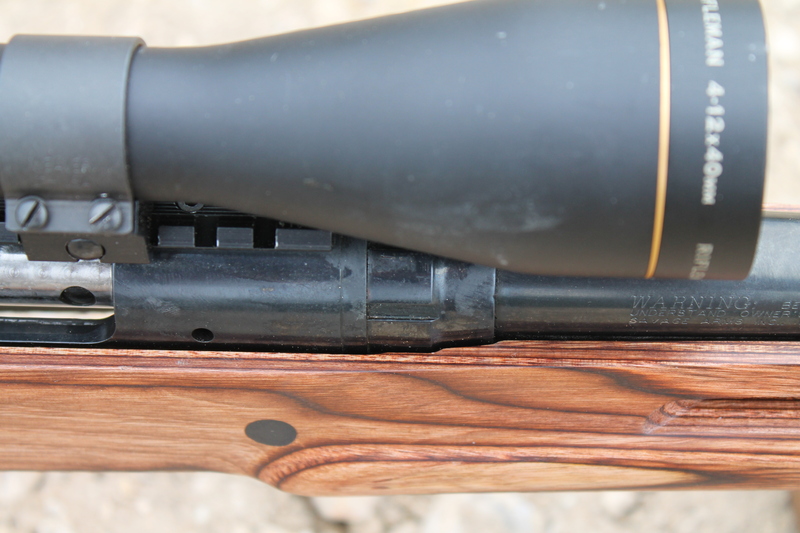 Next, I threw on a Leupold Rifleman 4-12×40 ($249) that I had banging around the shop. One of the really nice things about the Savage 11/111 is that the trigger, while not their famed Accu-Trigger, is still adjustable. This one is set at a very crisp 4 lbs. There is no creep, the break is crisp, and over travel is minimal. The barrel is also of typical Savage quality. It seemed to eat super cheap 150 gr. Greek Surplus M2 Ball with reckless abandon. Off sandbags, hot, dirty and shooting the aforementioned M2 Ball, I was able to maintain sub 2 MOA 5-shot groups at 100 yards. This accuracy extended to 250 yards where rifle and shooter were able to ring steel with boring regularity. I have no doubt that this will be a 1 MOA gun cold, clean, and shooting high quality 150 gr. ammo. Finally, I got in touch with Boyd’s to get a Nutmeg Featherweight Thumbhole ($99). Just to recap, here’s the money that’s wrapped up in the gun so far. 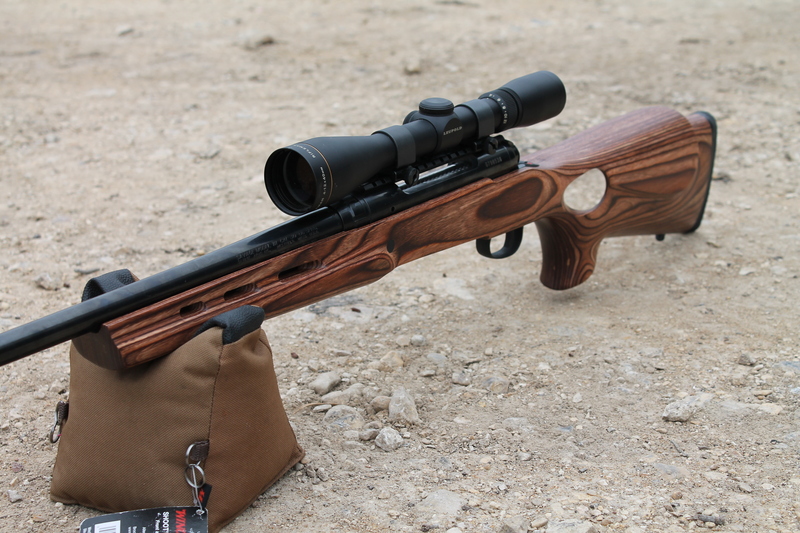 Total cost in the rifle…a little under $700. Once I got the stock and receiver mated together, I took it to the range. As you can see from my idiotic smile in the video, it’s tons o’ fun for not too much money. I re-stocked one of my 91/30s with a Boyd thumbhole stock. 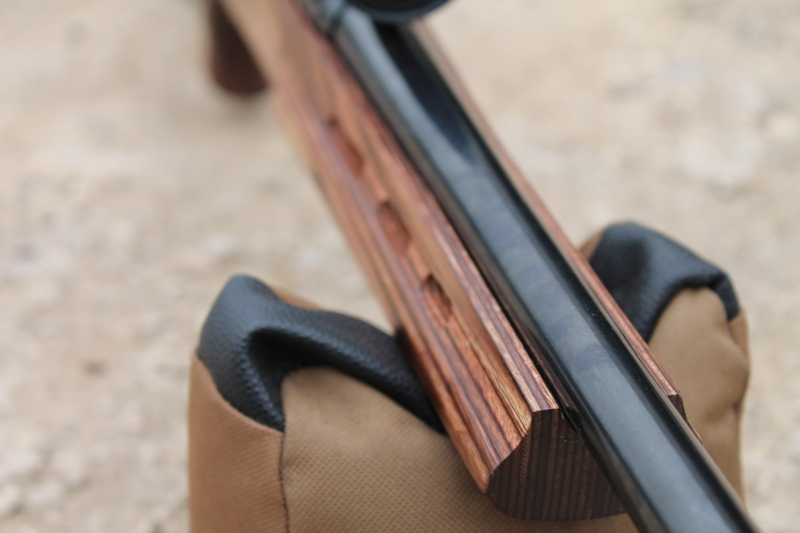 It’s a well-made and beautiful stock, but a thumbhole design generally leaves something to be desired, which is not peculiar to the Boyd model. Also, the comb and cheek piece work fine for iron sights, but the comb is too low for a scope. This one is high enough to give a good cheek weld with the scope that’s stuck to it. For starters, if you need to shoot with your other hand, you’re out of luck. 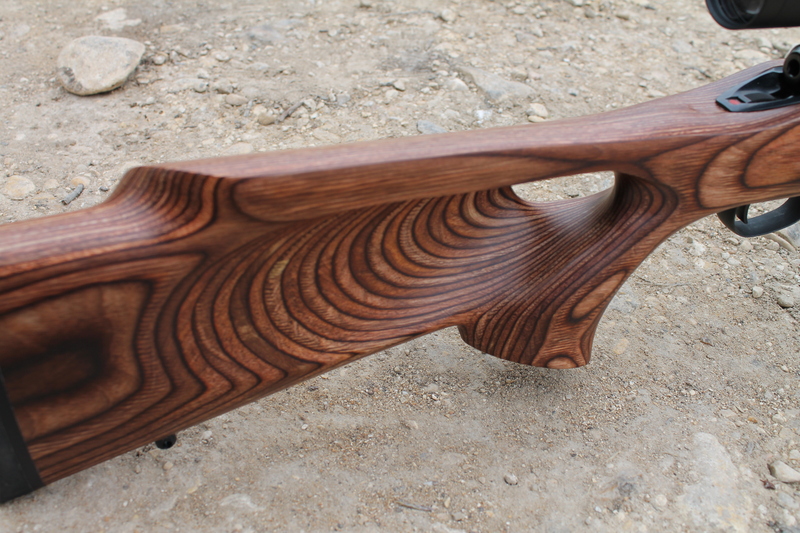 @Mark N., use a thumbhole stock and you’ll know what I’m talking about. 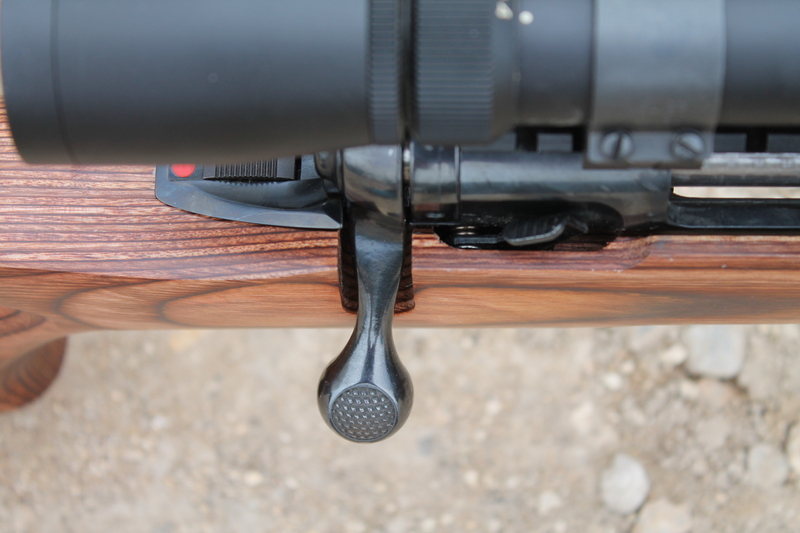 Having to slide your thumb precisely into a slot to make a quick shot will never do for hunting or self defense. With a standard grip style, you grab and go very intuitively. The thumbhole only works from one side. Likewise the cheek piece. Your hand is locked into a position whether you like that position or not. There’s no fore and aft or north and south “wiggle room.” Which means that there is only one available trigger distance, and it may not be right for you. For hunting, self defense or target work, I’d prefer a traditional semi-pistol grip or a AR-style pistol grip. I even prefer a straight stock. But damn, Boyd stocks are purdy! Boyds makes a great product for a great price. Solid service too. as to the thumbhole design: it is an inherently flawed system to cheat around “assault rifle” bans. As stated you are limited to one shooting hand (no ambi), the size is tailored to an average hand. If you have large gorilla hands, like me, you will feel cramped. If you have dainty feminine hands, like many of our fine scribes here, you will be reaching too far. It is just not an ideal system. The thumbhole design does not exist simply to get around bans; I am not sure who told you that. While it does do that in some regard, this design has existed for a long time and is more popular with target shooters. The same disadvantages cited by Ralph can become advantages for a target shooter in a controlled environment (assuming the rifle is set up exactly for that individual). Hunting is not a controlled environment typically. One disadvantaged not covered thus far is the stock design is weaker overall. If I wanted a gun to tote up into the mountains or banging around on the back of a horse, a thumbhole would be down on the list. Build, customize, swap parts…. whatever you call it I’m glad to see you’re enjoying it. As long as what you do doesn’t adversely affect the reliability or function of the gun and it serves it’s purpose for you or the owner…good job and keep it up Tyler. Sorry, I put this in the wrong spot on this page. Really nice gun. Too bad it’s terminally righthanded. So… Installing a scope and changing the stock constitutes “building”? That’s a very pretty Savage. Let’s have a little respect for $100-$200 Bushnell scopes. I like mine better than my high end Leupold VX-3L. Then your doing something wrong. PS parts swapping is not ‘a build’ any more than changing from snow tires to non-snow tires is ‘a build’ of your PU truck. Um… well, we might have different perspectives. Speaking for myself, a “build” starts with an action and a barrel as two individual components. Or his years of experience… I would love to build off a surgeon action and a kreiger blank. But I would feel like a complete tool after wrecking those nice parts. 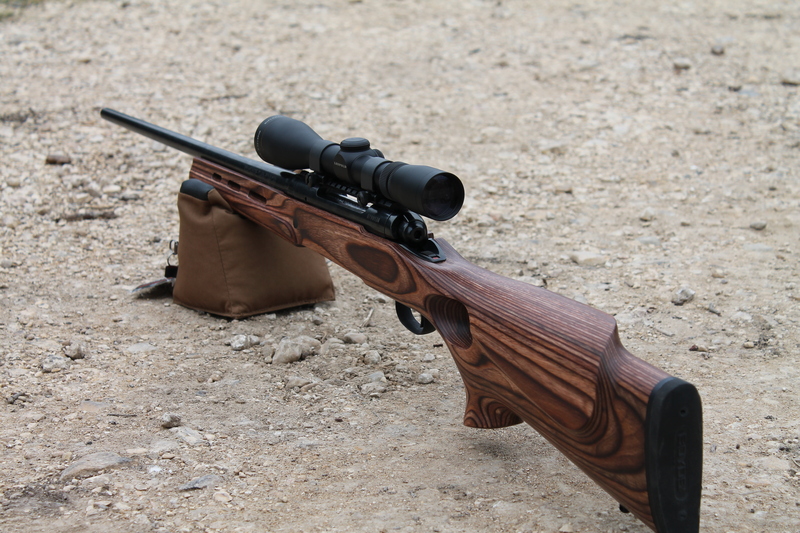 I’m rather inspired to give my savage axis a new stock – I’d keep the synthetic one for hunting and brush bashing, but one of those Boyd ones would be a nice show off piece for range visits. More of this. Less whining about “liberals”. 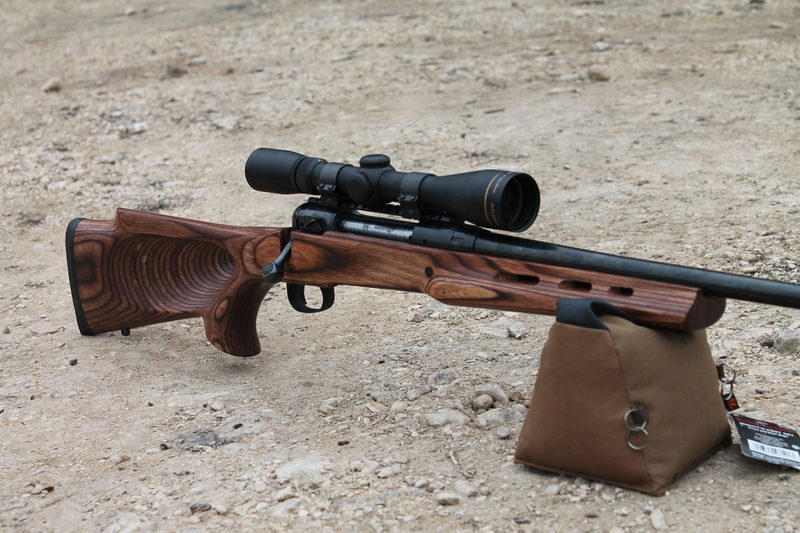 I tend to agree with those who contend that the work done to this rifle isn’t really a “build”. An “assembly”, perhaps? I tend to fall in to this category (assembling “custom”* guns), and when speaking about it, I tend to say “I put that together” rather than, “I built that”. That said, I am in the process of teaching myself some of the more basic gunsmithing skills; I have a 91/30 which I have swapped into a Boyd’s stock, that I have inletted to accept the Timney trigger, and performed a bedding job (parts of which I need to rework… it was my first time). I have also purchased a muzzle crowning tool and pilot, which I intend to use to make sure that the bullet leaves the barrel cleanly. Additionally, I have slugged the bore to determine which diameter bullets will work best, and am just waiting for 7.62x54r dies, etc… to become available. Load development will follow. It’s been a fun little project, and I am having a blast with it. All of that being said, it looks like Tyler has put together a nice little shooter there, and at a decent price, too. * “custom” in this case being defined as “it didn’t leave the factory in this configuration”; adding a scope doesn’t count, but swapping the stock/trigger does, as does converting the feed mechanism (from a blind to a drop mag, for instance). ARs are, of course, a different beast… I tend to buy stripped lowers and cherry pick the rest of the (lower) parts from there. 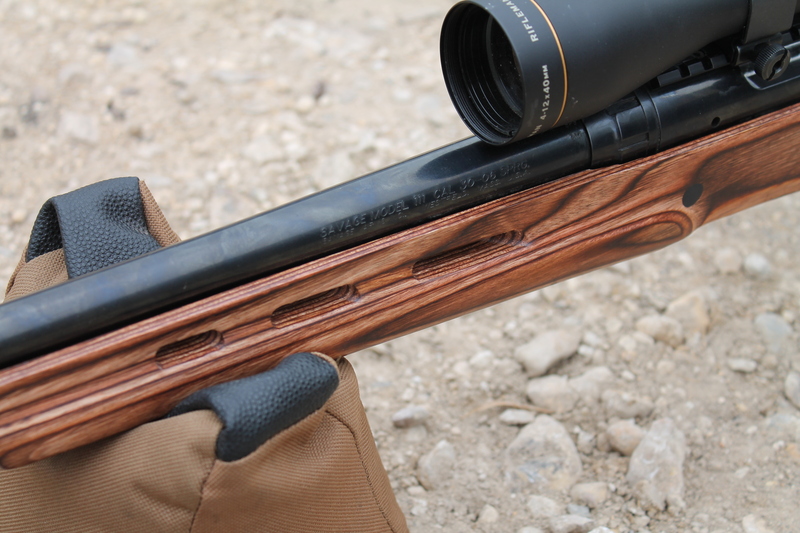 For all those people jumping on the thumbhole means it’s not ambidextrous, there are many examples of ambidextrous thumbhole stocks. I love my Manners thumbhole T5 stocks for precision long range shooting. I am attemping to do the exact same thing. 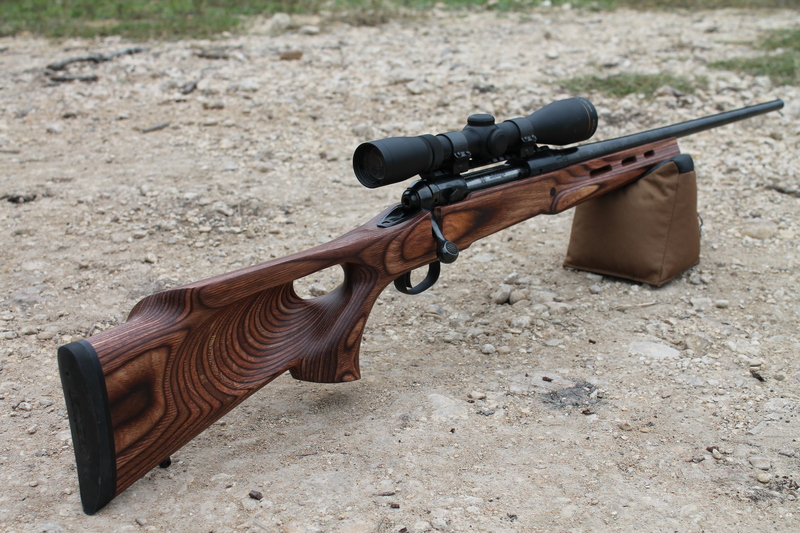 I have the Savage 111 hunter xp and want to put a Boyd’s Stock on it. How did you get past the issues with the detachable magazine? Where did you buy the metal bottom plate on the mag well? Operating a flat blade screwdriver and an Allen key doesn’t mean anyone is now a gun builder, it means you can bolt on aftetmarket parts to a cheap rifle. Perhaps you can do a truck build later where you change the oil and put on aftermarket wind shield wipers. When you get out the wood and metal working tools and do something that hasn’t been done literally millions of times before, I would like to see it. Off to build some dishes in the dishwasher! hi tyler just read about your savage 111 with the boyds stock i see a lot people asked same ? about bottom metals and mag i have the same savage and bought the same stock did you just use your old mag and bottom metal and did it fit right in was it easy or did you have to replace the bottom with new. I need to know how did you fit the magazine. I have that stock but trying to figure out how to fit the magazine. I too am building a custom rifle from a Savage 111XP in 30-06 that I got for under $300. First thing I did was swap the bushnell scope for a Nikon Buckmaster I had on a 22mag. The Bushnell is holding up just fine on my 22mag, but I didn’t trust it on an ’06. With the factory set-up (with Nikon Scope) I was able to get MOA with Federal Fusion 150. I’ve since upgraded the trigger to a Rifle Basix, installed a Weaver Rail, and just finished a Richard’s Custom Walnut Stock (finished, glass bedded, and free floated barrel by me). Its a tack driver with my reloads. I’ve got ~$650 in rifle to-date. I’ve been documenting the build (assembly) on my website. Now I’ve just got to save up for a nice scope. They are great rifles. I’m pretty much a Savage Fanboy at this point. The bottom metal will fit right into the Boyd’s stock. No need to fabricate anything. All these Internet gun builders try to over complicate things.